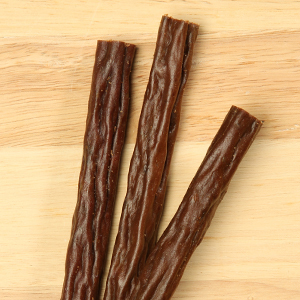 11-inch BEEF WOOF STIX® 4pk – Made in the USA, this slow-cooked treat is shaped like Bully Sticks, but made with all-natural beef and deliciously more soft and chewy. 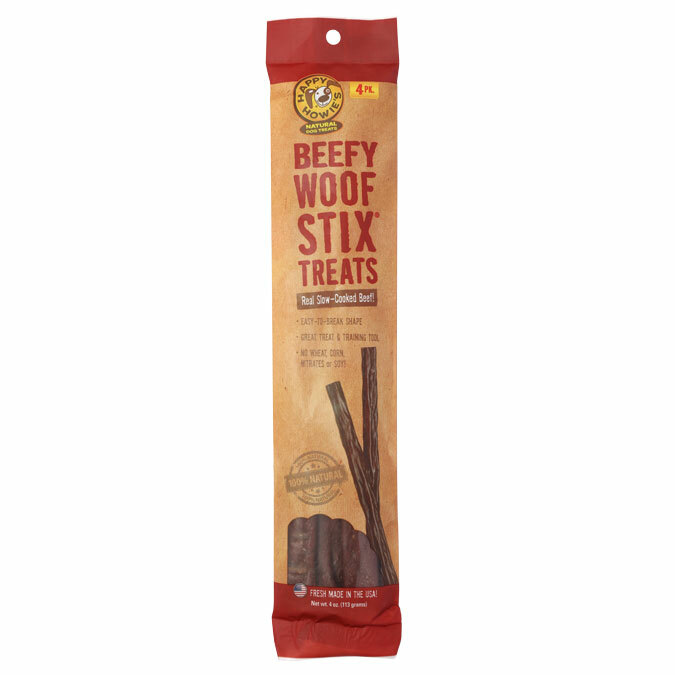 Our 11″ Beef Woof Stix® are an excellent way to reward your dog. My 2 girls are Veryyyy picky when it comes to treats and food! But both of them ABSOLUTELY LOVEE Happy Howies Beef Woof Stix!! They would do anythinggg for them! I even have to leave them behind a locked pantry door now because even though they are small breed dogs…they somehow managed to find a way to open the door and get into the Woof Stix stash =D LOL. They ONLY downfall I would say there is about Happy Howies is that there are not enough different flavors to choose from!! 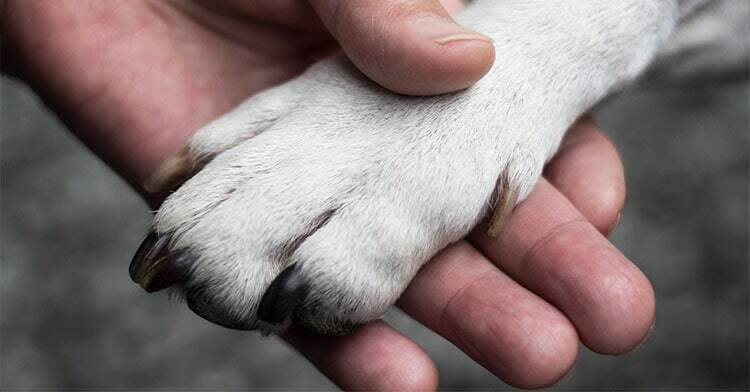 I wish they would start to make Turkey woof stix and chicken woof stix! Different flavors of the jerky and burgers would be ideal too!! My Schnoodle is very picky about her treats and food. She absolutely loves Happy Howies Beef Woof Stix!! They are her very favorite treats!! I order them by the box so that she will always have some. 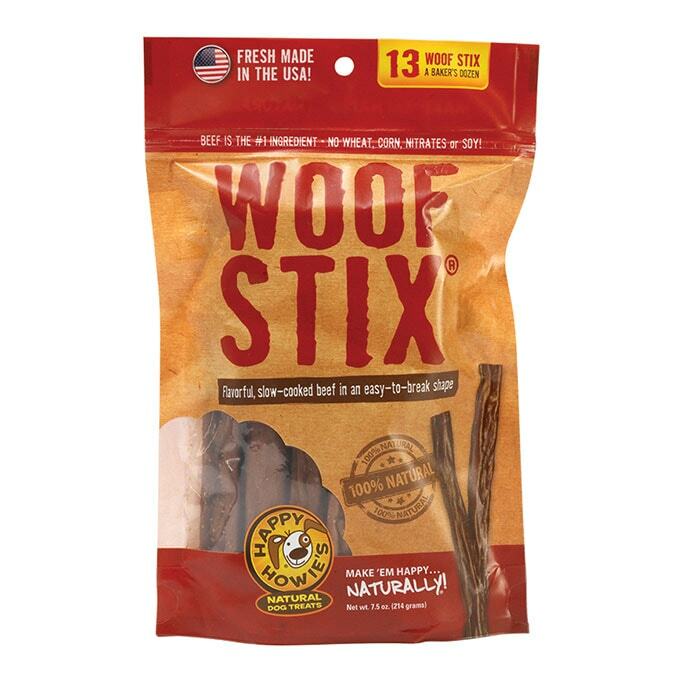 She will do all of her tricks for a Woof Stix!! My dog, Theia, got these in one of her Bark Boxes. 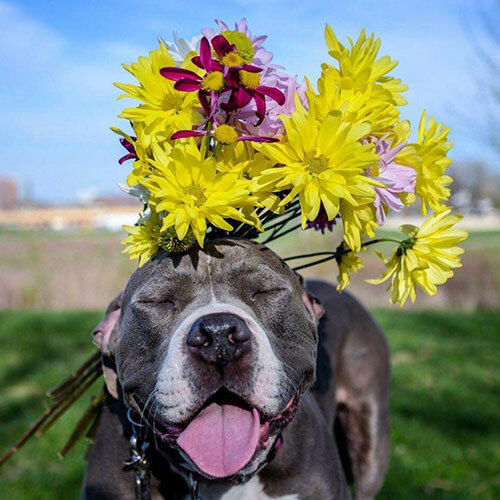 She absolutely loves them. I order these and the burgers. 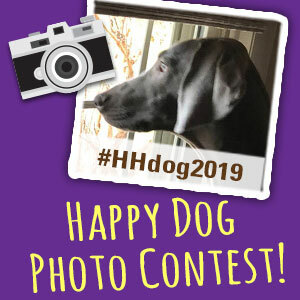 She knows what Happy Howie’s is and when I ask her if she wants a Happy Howie’s, as opposed to other treats, she gets all excited.